Suzuki was a late arrival to the supernaked class, releasing its GSX-R1000-derived contender in 2015. 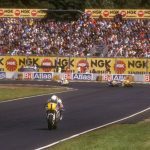 Since then, the Japanese manufacturer has been channelling a fair chunk of its resources into the development of the championship-winning GSX-R1000R, meaning some of the other bikes in its range have remained mostly unchanged. 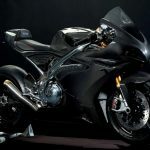 In the case of the GSX-S1000, this is understandable; it makes zero economic sense to release a revamped supernaked ahead of an all-new flagship superbike. 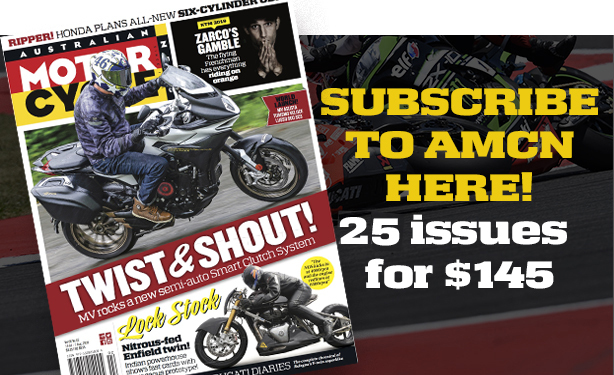 This means that for 2018 the GSX-S1000 has received only a handful of changes, but as I quickly discovered, it is still a leader when it comes to bang for bucks. 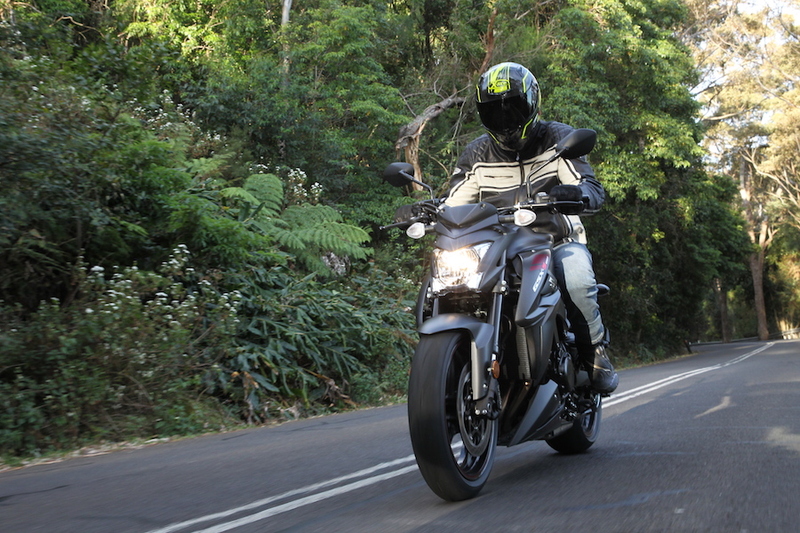 The key thing you need to know about this bike is the price: the GSX-S1000 will set you back just $15,190 (+ ORC). 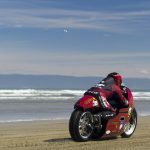 It’s a Suzuki, it’s powered by a four-cylinder 999cc engine derived from the legendary K5 GSX-R1000, and it’s still around $15k. Start selling! But, of course, there’s a little more to it than that. 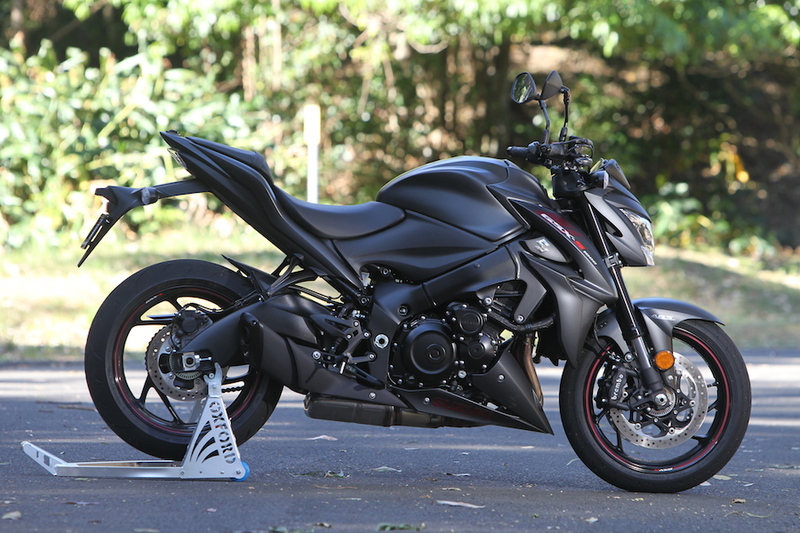 So let’s get up to speed… The 2018 model comes in two variants, standard and Z (GSX-S1000Z), but the only difference between the two is colour, or the absence thereof for the Z version– it’s all-black. 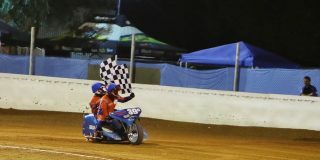 Technically the two bikes are identical. For the 2018 model year, the big naked Gixxer gets a back-torque-limiting clutch, stiffer brake lines, a smidgen more power and improved fuelling. It is now Euro 4 compliant too. 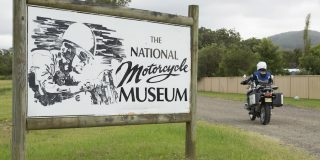 While the bike has been a guest at Gassit Garage before, a fortnight spent zipping back and forth through the Royal National Park reminded me just how awesome it is for the price. Because I’m a big guy, now into middle age, supernakeds are generally my favourite bikes for everyday riding fun. They have more power than you will ever need, comfort and easy handling. And it’s in these areas where the GSX-S1000 shines. It has the classic streetfighter appearance that was born from people crashing their faired sportsbikes. Those who didn’t have the cash to repair or replace the fairing simply stripped the bike down for a tough, industrial look with exposed piping and engine covers. The idea took off, and when manufacturers got involved they were smart enough to replace the low clip-on ’bars with a one-piece riser-mounted handlebar on the top triple clamp for a more upright and comfortable seating position. 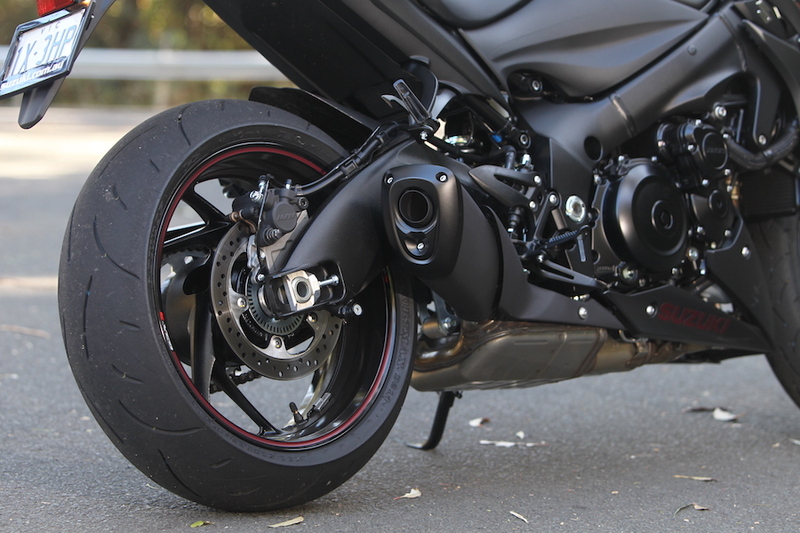 In the case of the GSX-S1000, that’s a tapered aluminium Rental Fatbar. Slightly curved back to the rider, it’s nice and wide for comfort and steering leverage. Unlike some manufacturers that seem to be taking the term ‘naked’ with a grain of salt, Suzuki puts everything on show except for the belly, and the GSX-S has a pan that works with the bike’s sharp styling. The headlight and tail-light are LED. According to the press kit the lights at the front are shaped to represent the bike’s ‘fangs’. Sometimes it’s best to stay away from the press kit. The 811mm seat height is the lowest in the category, and the seat itself tapers sharply to the tank, so you would need to be quite a shorty not to be able to get at least one foot on the ground. The good news for tall people is that it doesn’t feel low – the reach to the ’bar is still a nice stretch and puts you into a sporty downward slant but without too much pressure on the wrists. Flick the bike into life and the party begins. The stubby exhaust works with the minimalist styling, and the cat is well hidden in the belly of the beast. The 4-2-1 design has equaliser pipes between the 1-and-4, and 2-and-3 header pipes, and while it’s now Euro 4 compliant, don’t for a minute think it sounds dull. In my notes, next to exhaust note, I scribbled ‘obscene’. It’s not stupidly loud, but the crackle of the four-pot certainly managed to notify the family I was arriving home each evening – the garage door was always opening as I pulled up in the driveway. It had been more than a year since I’d ridden the previous model, so I can’t say I noticed a huge difference in the action of the clutch lever with the installation of the new back-torque-limiting clutch. But I quickly remembered how excellent the six-speed gearbox is. And, other than a little transmission slap, it was silky smooth on the open road and in traffic. I just wish Suzuki had added a quickshifter for 2018. Smarter people than me make these decisions, but a slight price increase to cover the cost of a quickshifter – even an up-only one – would have still seen the bike retain its excellent value-for-money tag. 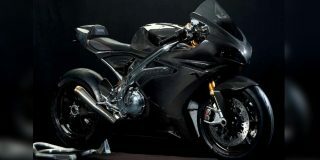 Without a doubt, the crowning glory of this bike is the long-stroke engine derived from the K5 GSX-R1000 (see breakout). When the GSX-S1000 was first released there were a few concerns about a snatchy throttle, and when you have 107kW and 106Nm at the command of your right hand, it’s going to be almost impossible to make it accelerate like a 500cc bike. But let’s face it, that’s part of the appeal. Maybe I’ve been riding our brutish MT-10 long-termer project for too long, but I found the throttle response easy to manage. The throttle is a traditional cable-operated design, with ECU-controlled secondary butterflies, you can feel the connection between input and engine response. There are no selectable riding modes, but there is a three-level traction control system – plus off – that can be adjusted on the move with a closed throttle via an easy-to-reach and easy-to-use mode button on the left-hand switchblock. 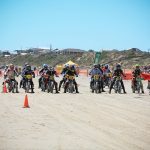 Most of my riding was done with the system in TC1 or off. Power delivery under 5000rpm is gentle enough for easy modulation with your right hand, and the neutral-handling chassis with its 25º of rake and 100mm of trail means experienced riders won’t feel in mortal danger if they turn off the TC. There is a mark at the 5000rpm point on the rev counter and when you hit that point – in any gear – the party really gets going. As well as a noticeable sharpening of the throttle response and a glorious howl from the stubby exhaust, the whole bike vibrates. 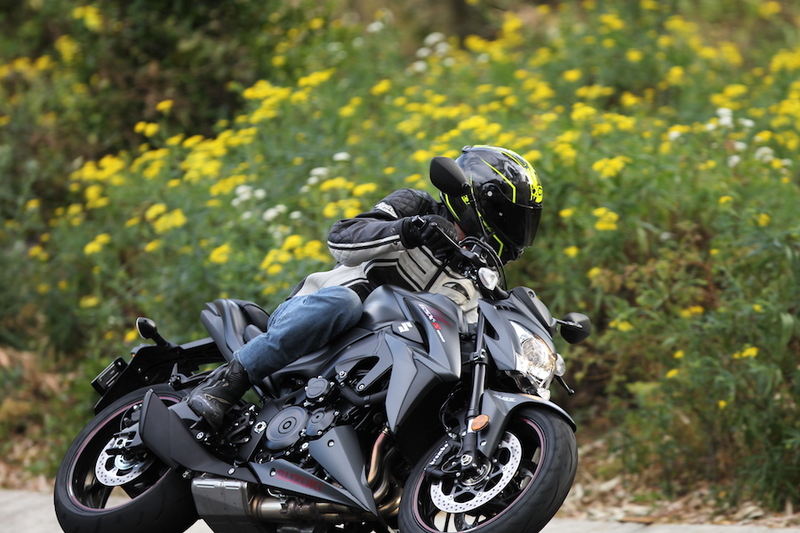 It’s not a bad vibration like an imbalance – it’s like the bike comes alive with excitement. 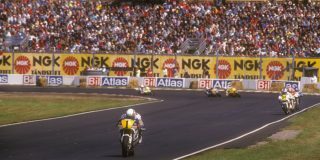 Due to my desire to retain my licence, it was difficult to find places where I could ride in the 5000-10,000rpm band for any more than very brief periods unless I wanted to go in a straight line – yawn. But during these brief moments of joy I was able to properly test the updated braking system. 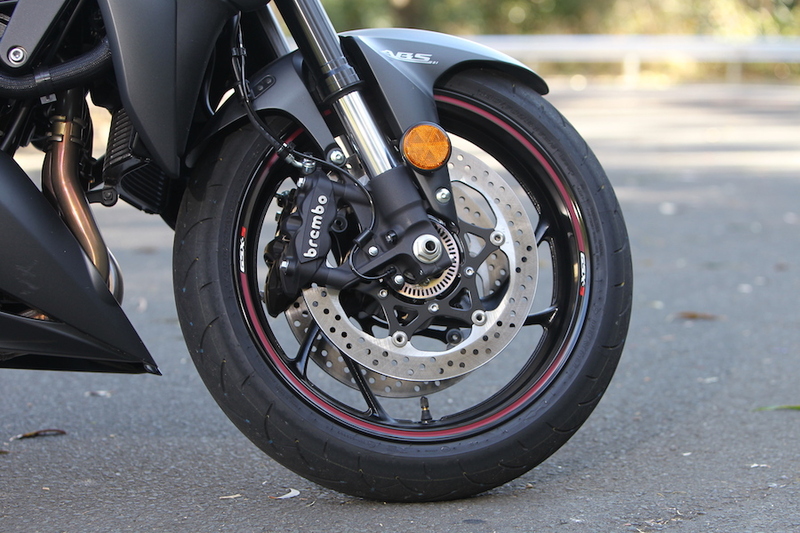 One of the complaints with the Gen 1 GSX-S1000 was a lack of feel and fading of the radial-mount Brembo monobloc brakes that clamp onto twin 310mm floating discs. 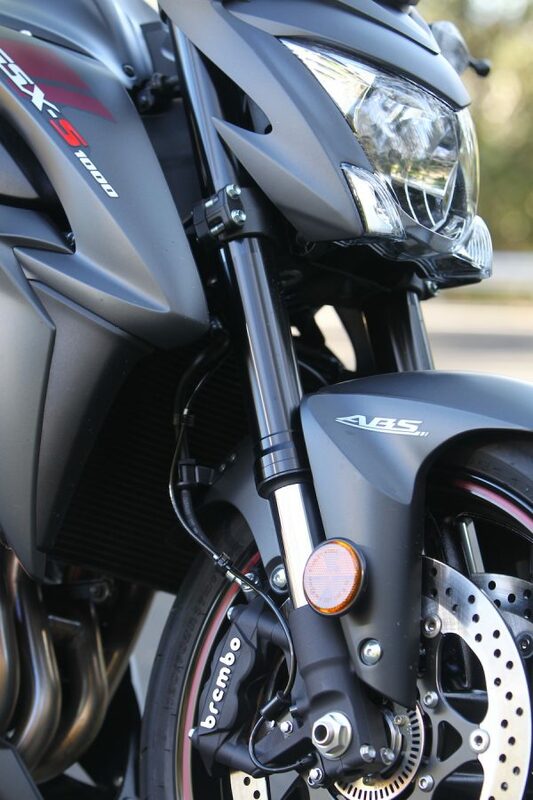 Suzuki has addressed this by fitting stiffer brake lines and, while there is good, constant feel in the lever, the brakes still lack the strong initial bite you expect from a bike with this level of performance. Helping the braking is a new-for-2018 back-torque-limiting clutch that has reduced the rear-end hop you encounter when attempting to apply the rear brake while shifting down the cogs. The new slipper clutch works well, but I did have one moment where I released the clutch too vigorously just as I applied the rear brakes and leaned into a right-hand turn. I felt the rear begin to slide sideways, but I was able to go with the flow because it wasn’t a sudden, snapping movement. Despite the budget price, the fully adjustable 43mm USD KYB suspension up front was exceptional around town, as well as along my favourite coastal road, and most of my favourite twisty scratch runs. It provided plenty of feel with accurate steering – undulations and bumps in the road surface were easily dealt with. It’s not until you really begin to push the bike hard and ask a lot of the fork that it begins to struggle with a bit of font-end dive, slow rebound and a loss of feel. Things are not so rosy at the rear, however. 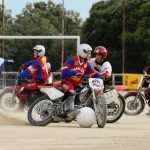 The ride from the link-type, coil-spring, oil-damped monoshock, which is adjustable for rebound and spring preload, is a bit harsh on an uneven road, and once the pace quickens the limited damping and rebound creates a pogo effect. I tried increasing the rebound, which helped a little, but it may take a better shock to fix the issue. 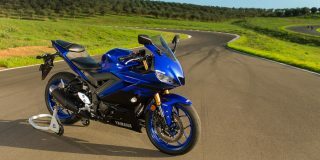 I’m hoping this is an area Suzuki is looking long and hard at for its first major upgrade of the GSX-S model. But this brings us back to where we started, which is the price. 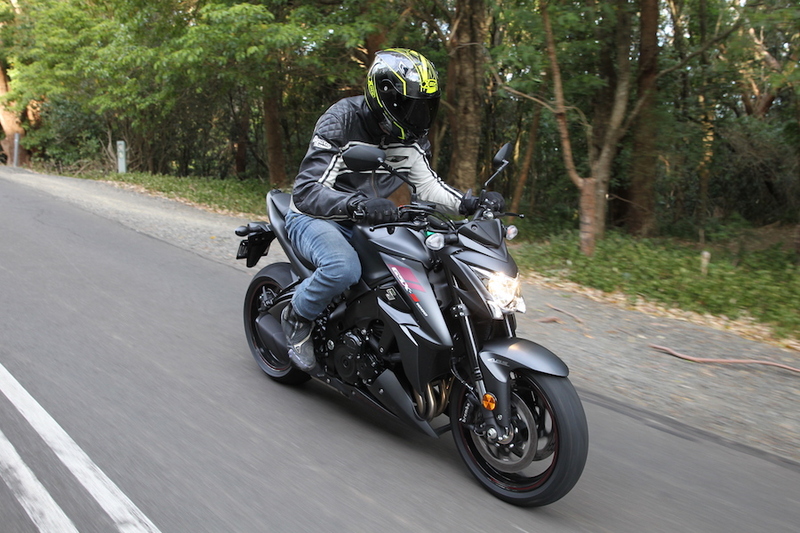 At $15,190 (+ORC), the Suzuki GSX-S1000 is worth every cent and more. 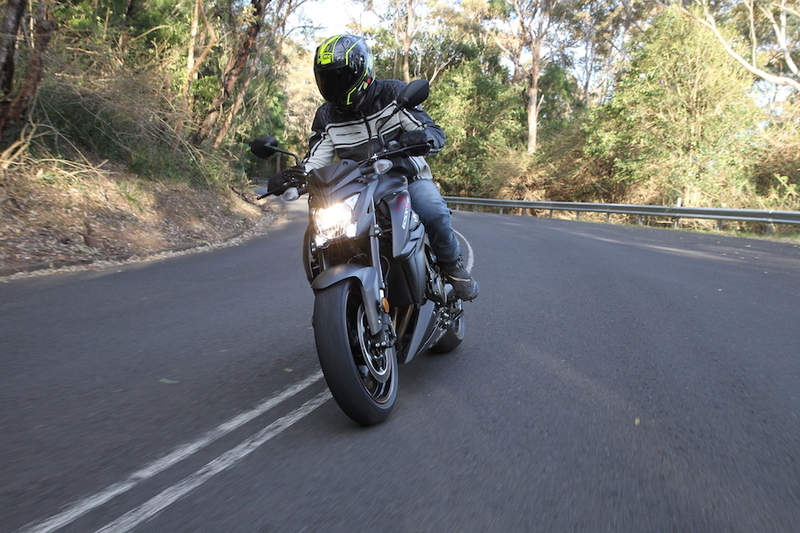 I’m often accused of rabbiting on about the value of the MT-10 at $17,999 (+ ORC), and the GSX-S1000 is almost three grand less expensive, leaving you with plenty of cash in your sky-rocket for a new helmet, jacket, boots and gloves – or to buy a trick suspension upgrade to some gold, blingy kit. Or maybe just leave it as is, because this is still a bloody enjoyable motorcycle.